TableTalk is a mission and a movement that has been on the Holy Hill since the mid-winter of my first year here at Episcopal. Ask any student you see in the Dining Hall, on the way to the Center, or hanging out on Strip, and they will tell you the time they dread the most during the school year is that cold, gray, January to February stretch. Tackling research papers, spending dark evenings indoors, struggling to strategize a route to all of your classes that will minimize exposure to the elements, you name it. Last year, however, something changed. The conversation was coming to the High School, and people were ready to start talking. Starting with a discussion (complemented with ample amounts of donuts) in February on Anderson dorm titled “Freshmen, how’s it going so far?”, TableTalk hit the ground running and hasn’t truly stopped since then. In the spring, CampusCouches was introduced. 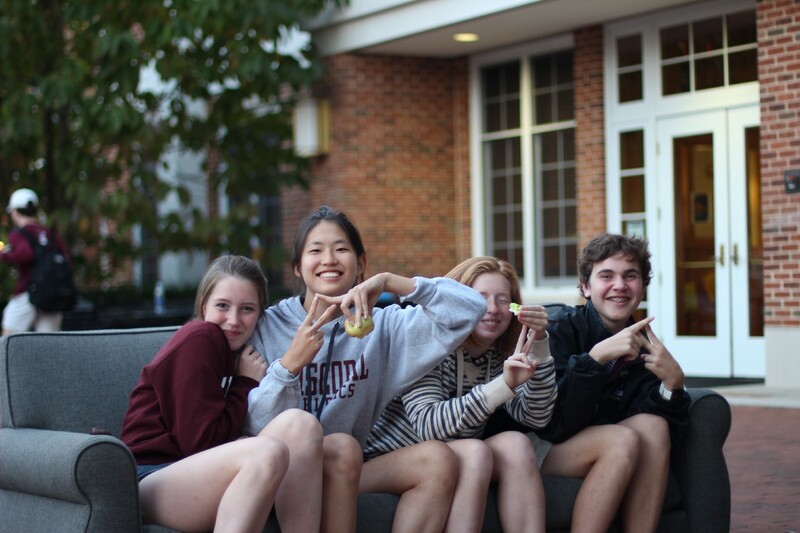 Suddenly, it became normal to see three or four big leather couches grouped together on Strip or on the Chapel Quad every few weeks, complete with students and faculty immersed in conversations about student life, the upcoming Finals dance, exams, and summer activities. Still, the magic of TableTalk does not lie in the ability of its members to pull off magnificenTT puns or to manage a donut order large enough to accommodate slews of hungry teens, but in its devotion to the purpose of bringing purpose to our dialogues, both among the student body and the faculty and staff. Whether that purpose is to get to know someone you always wish you said “Hi!” to in the hallways, or to discover what your classmate really thinks about the meaning of life, TableTalk provides that safe, open space to talk to new faces that we search for in a world of labels, fences, and boundaries set for people. In September of my sophomore year, I became my class’s Grade Representative on the official TableTalk Team. We were ready to tackle the road ahead with new ideas for new exchanges between students, collaborations with other student-led groups, and more ways to incorporate food into our conversations. Arguably our most popular initiative was BlindBrunches, a Sunday brunch event at Shirlington restaurant Palette22 that came back for a third time this past weekend. Students were encouraged to come without their usual friend groups to meet new people in a neutral setting with delicious food. Needless to say, there was a waitlist! Another exciting opportunity was a collaboration between Mi Gente (the community’s Latinx culture organization) and TableTalk that brought EHS students and Jose Carrión, chairman of The Financial Oversight and Management Board for Puerto Rico, together to discuss the Puerto Rican fiscal crises and how politics influence our lives as students. 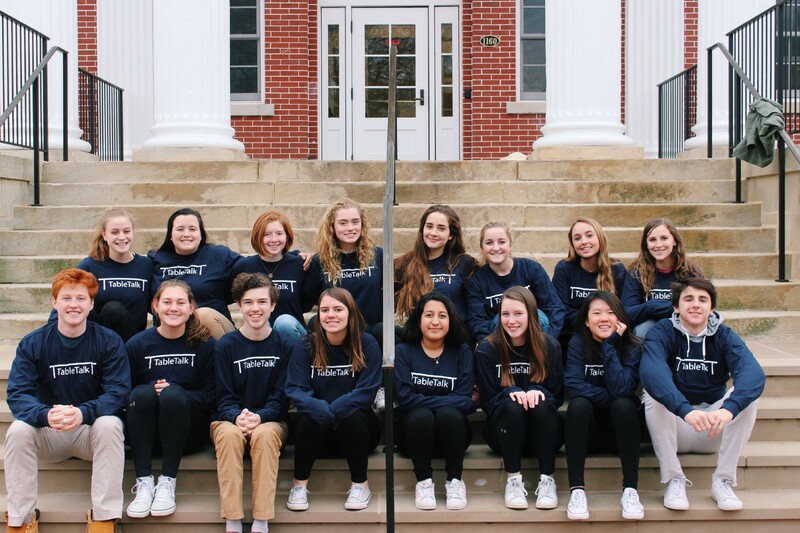 TableTalk has brought out the two qualities of the student body that I most enjoy taking part in: the ability of our students to try new things and have fun while doing it, and the fearlessness we have in facing “big” conversations. 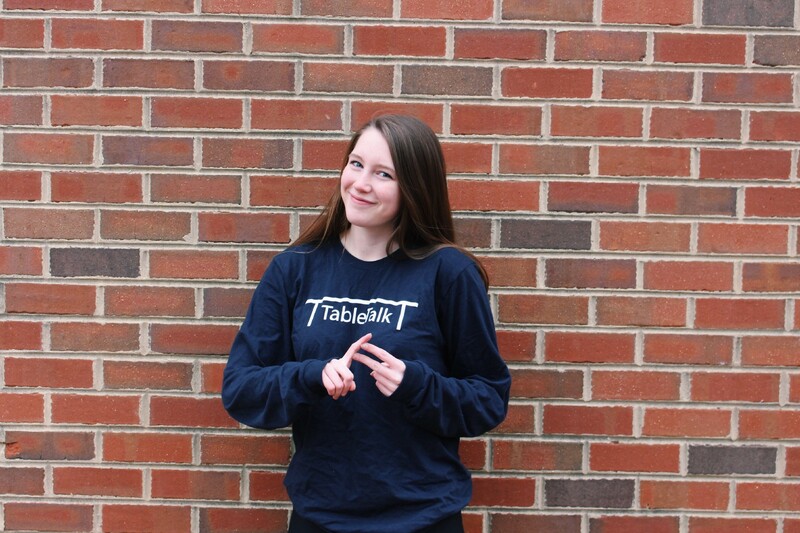 I joined TableTalk as a freshman looking for something to be a part of. Sure, I had been to most of the Campus Couches that spring, and had even done some of my own facilitating, but I also was doing what all Episcopal students are trying to do: finding my niche. Little did I know that within TableTalk, I found a place to lead, to ask new questions, and to start new conversations. I found a place where I could actually get out of my comfort zone, in a place I was growing used to more every day. I discovered that I didn’t actually have to wait 3 years until I could apply to be a monitor and be a textbook “community leader”. I found my leadership role on a big, brown leather couch on Strip, talking to new people about new topics. With a donut in hand, of course.